The submission portal – which will go live on September 25 and include more detailed contest rules and regulations set by the PLA – will open at 12:00 a.m. Central Time (1:00 a.m. Eastern Time). All entries must be submitted prior to 11:59 p.m. Central Time (12:59 p.m. Eastern Time) on Tuesday, October 30. The winners will be notified in early December. The jury’s top selection will receive $1,000, and $500 prizes will be awarded to up to two additional submissions. 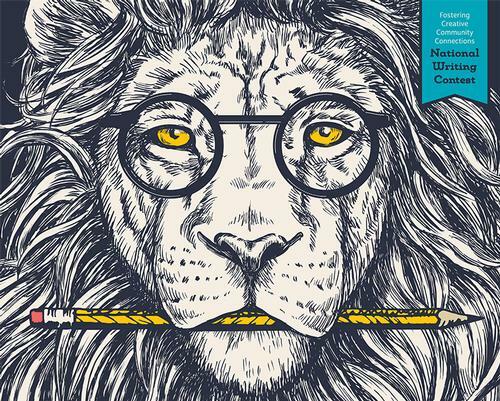 The contest falls under the umbrella of the Fostering Creative Community Connections (FCCC) project, which seeks to promote reading and literary joy through public libraries. The project is funded by the John S. and James L. Knight Foundation and managed by the PLA, in partnership with community publisher Short Edition. If that’s not enough excitement for you, the Free Library – a participant in Short Edition’s Short Story Dispenser© program – will have the option to publish stories submitted by Philadelphians in its three dispensers throughout the city. Your work could be showcased in our kiosks at the Philadelphia International Airport (PHL), the South Philadelphia Library, and in the waiting area at the Department of Human Services (DHS)! The theme of this year’s PLA National Writing Contest is courage, a universal topic and an attribute essential for the act of writing, itself. 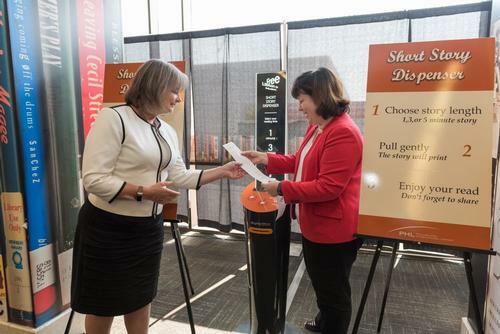 The Free Library – a participant in Short Edition’s Short Story Dispenser© program – will have the option to publish stories submitted by Philadelphians in one of its dispensers in the city. 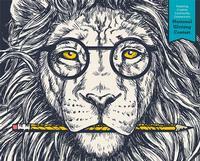 Add a Comment to Submit Your Short Story for the PLA's National Writing Contest!